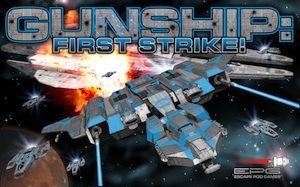 Gunship: First Strike locks and loads and gets ready to be reviewed over on Play Board Games. Gunship: First Strike! is a game of space combat. You command a carrier, gunship and fighter squadron that must destroy your opponent’s carrier.